This week, I have the pleasure of sharing an interview with Dr. André Gagné. We discuss his journey as a former evangelical pastor, his academic journey becoming a tenured professor and his work involving the New Apostolic Reformation (NAR). André Gagné, Ph.D. is an Associate Professor and Graduate Program Director in the Department of Theological Studies at Concordia University in Montreal, Canada. 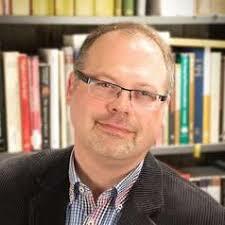 He works on the Christian Right, fundamentalism, religious violence and the interpretation and reception of the Bible. In his public scholarship, Dr. Gagné seeks to explain how sacred texts and traditions are used by fundamentalist groups and individuals to cultivate violent ideas and/or incite politico-religious violence. He also has a marked interest in studying the beliefs, practices and political inclinations of dominionist movements such as the New Apostolic Reformation (NAR) and Christian Reconstructionism. He is also a Digital Fellow of the Montreal Institute for Genocide and Human Rights Studies (MIGS) as well as a research associate with the Centre d’expertise de formation sur les intégrismes religieux et la radicalisation (CEFIR). 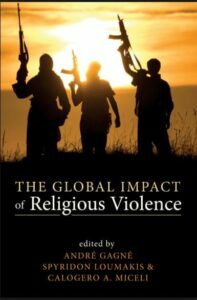 In his latest co-edited book, the Global Impact of Religious Violence, he examines why individuals and groups sometimes commit irremediable atrocities and offers some solutions on how to counter religiously inspired violence. For more information on Dr. Gagné’s research, please consult his personal website. Follow him on Twitter and subscribe to his YouTube channel. Dr. André Gagné was exposed to Evangelicalism at the age of 12, subsequently joining the Pentecostal church, and then becoming a pastor. In his early 30s, he attended l’Université de Montréal and l’Université Catholique de Louvain (in Belgium), specializing in Biblical Studies. During his university studies, he experienced he called a “theological shock,” as he learned about new ideas and information that contradicted and challenged what he once believed and thought. He discusses his concerns with the New Apostolic Reformation, as well as its impact on the current administration in the United States and on a global scale. André goes on to talk about political connections between Robert Drollinger, Capitol Ministries, Dominionism, The Family, and the Christian Right. He states the agenda of the Christian Right is advance their political dominionist project. They truly believe that their brand of Christianity is superior to anything else. It is superior to any other religious tradition, any other spiritual quest, and this is why they think their responsibility is to preach the gospel and change society. If they forgo this call to proclaim the biblical message, God will bring about judgment on their nation. This echoes my work for the past 43 years and what Freedom of Mind Resource Center is all about. If you are new to this blog, please check out the Influence Continuum and the BITE Model and the various blogs and pages of information. We will definitely be doing future interviews with Dr. Gagné!